My name is Bar. 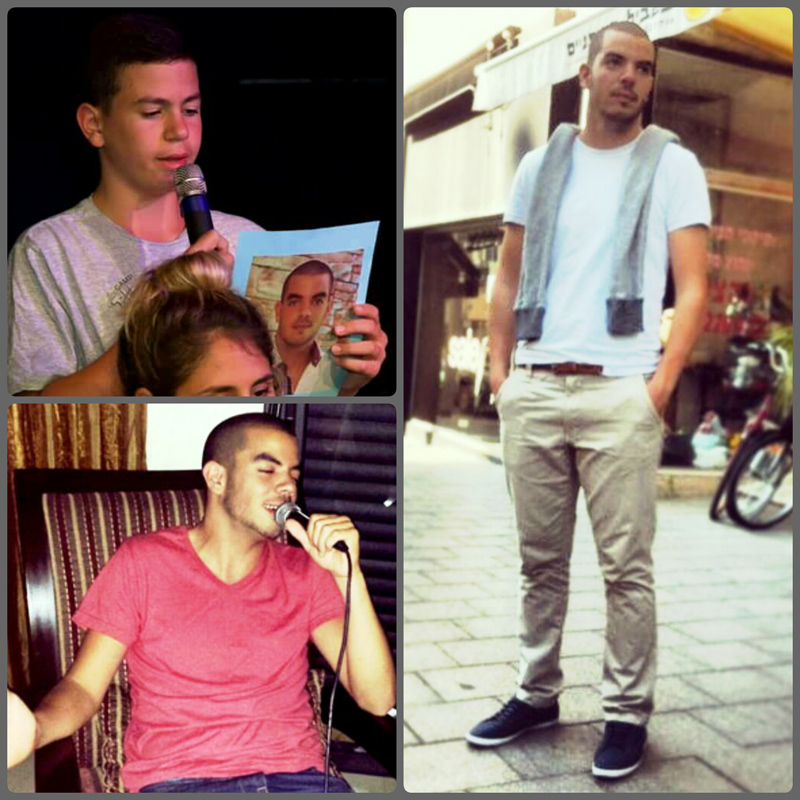 I am 17 and I live in Karmiel, a small town in the north of Israel. My brother Nir was a commander in the IDF, in an artillery unit. 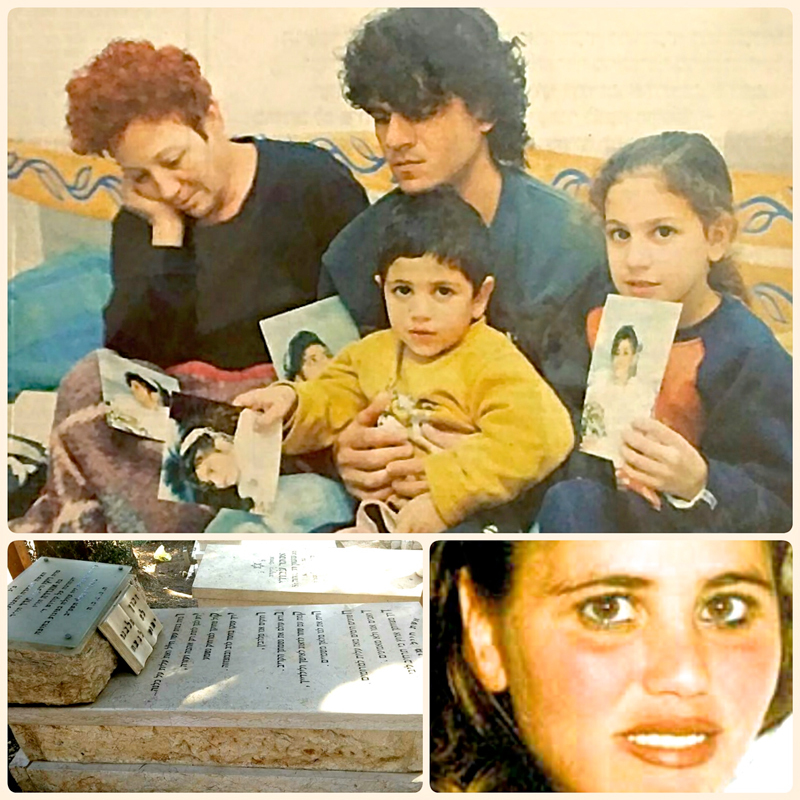 In 2002, at the age of 20, Nir was murdered in a suicide bombing. A terrorist detonated a bomb that he strapped to himself, murdering 14 men, women and children, including my brother. 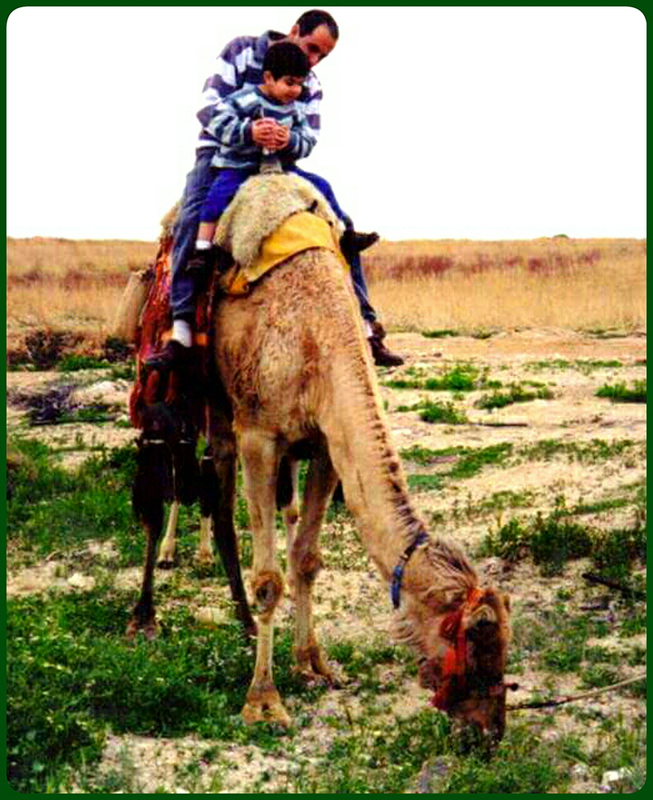 I was just 4 years old when Nir died; we had an amazing connection. Five years later, at the age of 19, my other brother, Avihay, was serving in the army and died in a car accident. Avihay was a wonderful dancer and loved to make videos. Although both of my brothers were killed during their army service, I know that in 6 months I will go to the army, as well. I know that there are plenty of reasons to be afraid to live in Israel; however, I don’t think there is any other place that I could live. I was in Poland three months ago and I developed a great understanding of how important it is to have Israel as a country. It is a place where every and any Jewish and non-Jewish person can live and feel safe. My name is Puah, and I am 31 years old, and I live in a town called Tekoa, close to Jerusalem. My brother had set me up with his close friend, Asher. When we met, Asher was serving in the army and I was working as a nurse in the cardiac department of Shaare Zedek hospital in Jerusalem. We married, and four months after our marriage, Asher finished his army service and returned to learn in Yeshiva. Within three months I was pregnant with our first child. 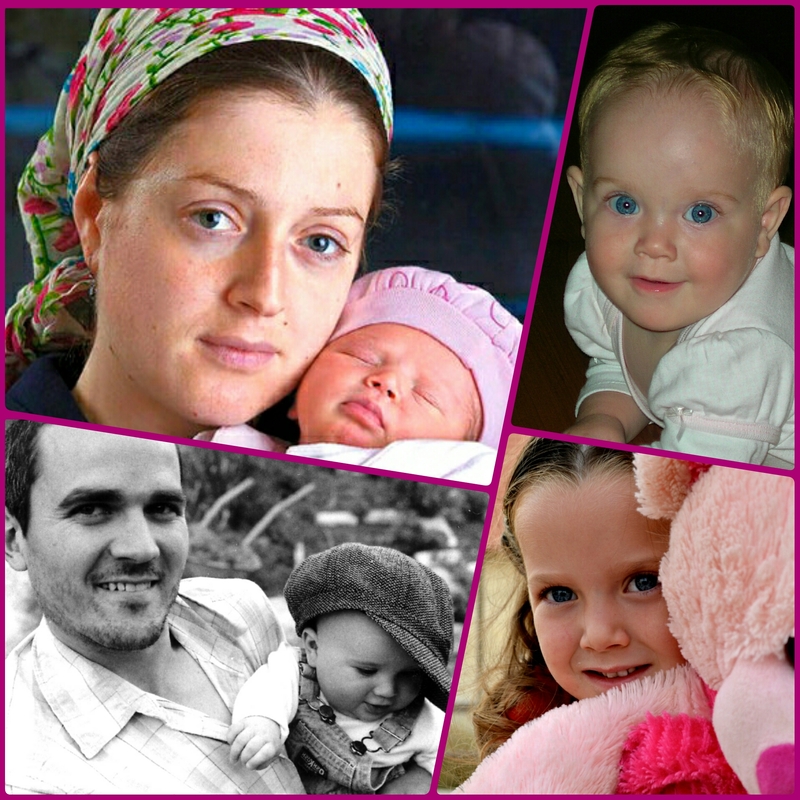 I gave birth to a beautiful blue-eyed boy two days before Rosh Hashana. Asher and I were overjoyed, and we named him a name that we both loved, Yonatan. As a new family, life progressed, and the following summer Asher began his studies in mechanical engineering. 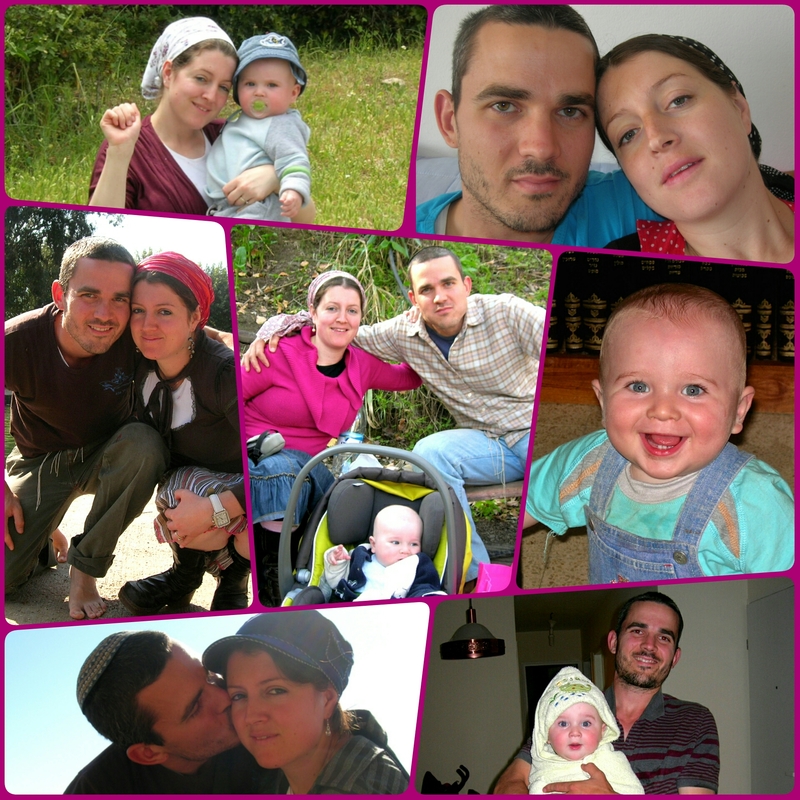 One year later, shortly before Yonatan’s first birthday, we were going to have Shabbat with my parents in Jerusalem. Since I worked the morning shift at the hospital, Asher was going to pick up Yonatan from the playground and drive to the hospital to pick me up. I waited and waited for them. It wasn’t like Asher to be late. I tried calling him, but there was no answer. I finally took a taxi to my parents’ house. I began to fear. 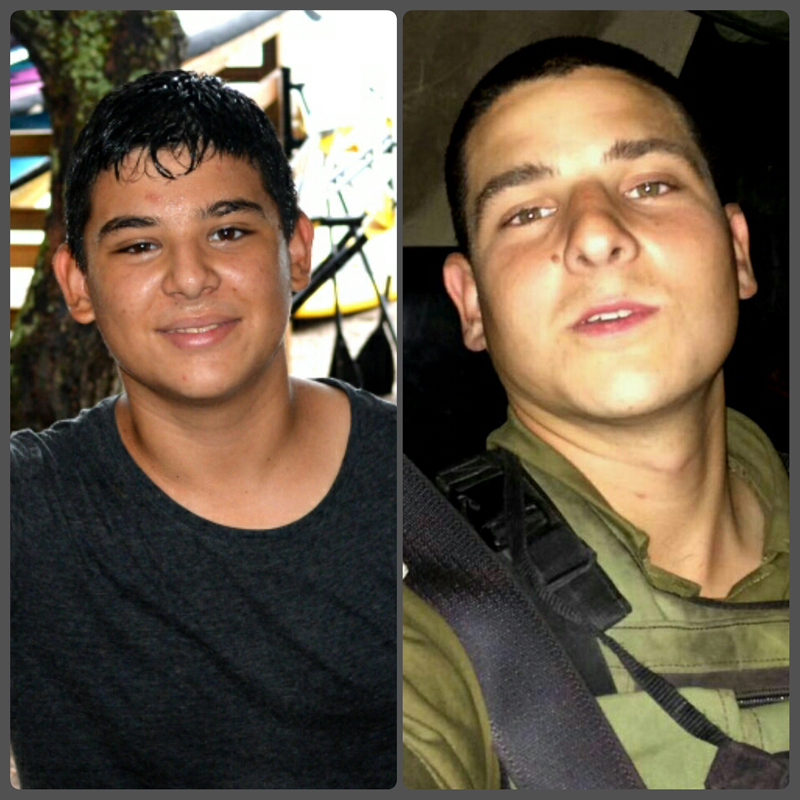 Two policemen came at 5pm to report that my Asher and little Yonatan were killed in what looked like a car accident. In my heart, I knew this was no accident. 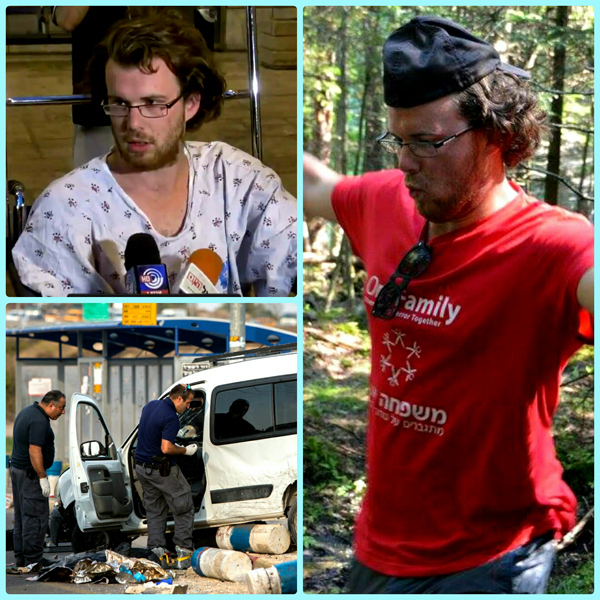 After an investigation, it was revealed that Asher was killed by a head injury after a large rock was thrown at his windshield by terrorists from an oncoming car. This was a new tactic of terror attacks on the road. Asher’s car then crashed into a ditch and my baby boy, Yonatan, was killed. At this time, I was five months pregnant with our second child. Four months after my husband and son were murdered, I gave birth to a beautiful baby girl who I named Orit, which means “light.” She became my reason to live, and still is. She is the light of my life. I am always telling Orit that she had a father and a brother, and how amazing they were. A few weeks later, OneFamily contacted me. I slowly became involved and now attend support groups with other victims of terror. Unfortunately, there are too many of us but we have found each other at OneFamily. We give each other support and understanding. We help each other want to live despite our pain. At OneFamily, I have met amazing people who have given me the emotional support that I so needed. I feel at home and among people who understand me. My name is Ido (front right in photo). I am 15 years old. I lost my father Danny (back left) in the second Lebanon war. He was based in Kibbutz Kfar Giladi. One day, a Katyusha rocket detonated near him. He was wounded from the blast and died in the helicopter on the way to the hospital. I was almost 6 years old when he died, my brother, Tomer (front left) was 9, and my sister, Mai (front middle) was 3. My mother Yifat (back right) has raised all of us on her own and has done an amazing job. OneFamily started helping my family right after my father died. My brother started going to their youth activities and, when I turned 8, I joined him. I was a part of the summer camp program in Israel. I also had the opportunity to go to Canada to an overnight camp, Camp Timberlane. For the past 10 years, Camp Timberlane has partnered with OneFamily and welcomed many kids from Israel to the camp. 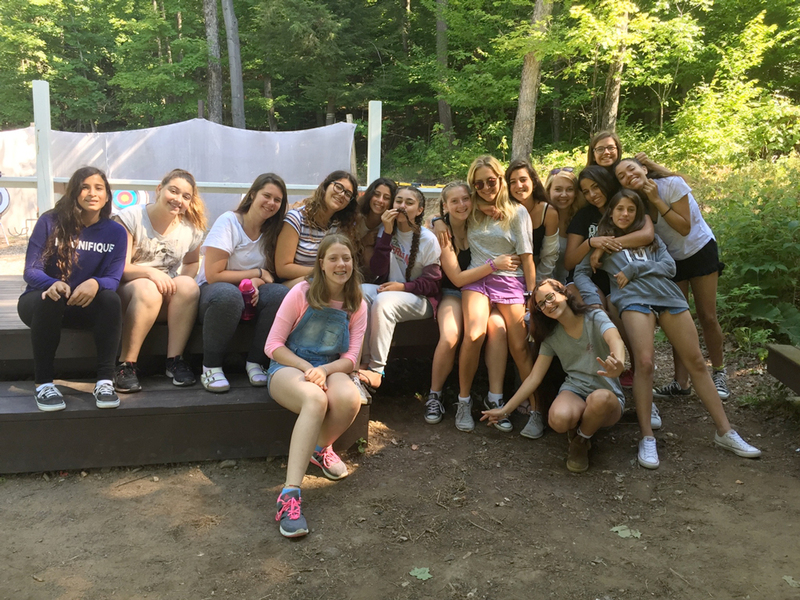 What I like best about OneFamily is that I have become so close with the campers and counsellors; we are like a real family and are in touch with each other every day. I was 4 years old when my father bought me my first guitar. From this age up to the age of 11, all I did was hit the strings. Eventually I made the decision to go to a teacher and learn how to play. I have the same playing style as my father did, and I love many of the songs and bands that he listened to. I love to play and sing those songs with my friends as well. Two years ago, my eldest brother, Amit, passed away. At 20 years old, he was in the army and served in Gaza. His squad was placed on a mission to destroy a water tower operated by Hamas as a watchtower. As the fight commenced, his gun jammed. Throwing a grenade, he bought enough time to regroup. A Hamas terrorist then ran from the other side while they were regrouping. He had fired a spray of bullets at Amit’s convoy and his commander was badly injured. Amit was killed in the attack. Six months after his death, OneFamily came to my family and gave us the opportunity to join the organization. 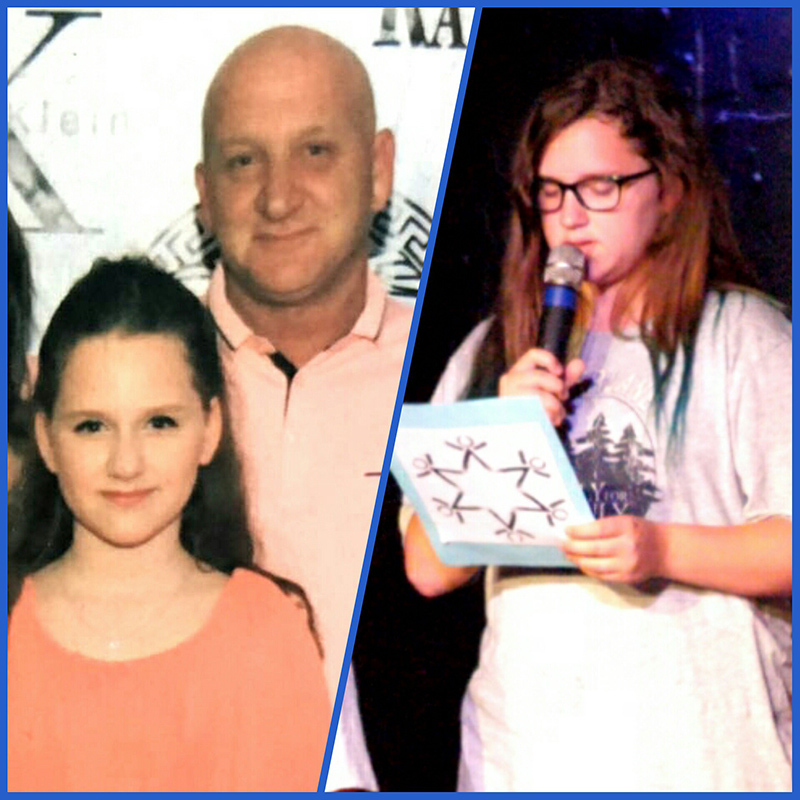 Since that time, OneFamily has continued to help me, my mother Einat, my father Shachar, and my older sister, Noam, who is currently enlisted in the army. I am grateful to have the ongoing support and for connecting me to many people around the world. Amit was my eldest brother. He was a very modest kid who loved to run. He trained for the army by being on a running team. This helped him achieve great results in his races. I used to love going to the sea with him and my father. We would play frisbee and sit by the sea for hours. It was my favourite thing. I loved talking with him; he would tell me about his experience in the army and I would tell him about my races. If I had one wish, it would be to be able to run with him one last time and tell him everything he has missed with our family and his friends. My name is Roye and I’m 22 years old. I heard about OneFamily when my brother’s friend died in the army. I started to volunteer with OneFamily children when I was 17 years old, as a big brother and camp counsellor. I realized how great of an impact the foundation has on the people in it. Three years ago, I was asked to be a counsellor in Canada for the OneFamily campers they were bringing over for three weeks to Camp Timberlane. It was an experience I will never forget. Everyone was so nice and the kids had so much fun. Last summer, I was lucky enough to return to Timberlane with a new group of kids who had never felt the magic of Timberlane, and it was magical! Three months ago, after I finished work and was heading home, I was at a bus stop when a terrorist tried to murder me. He ran me over with his car and then jumped out holding a knife and attempted to stab me. I was very lucky though, as he got shot by a soldier on guard, saving my life. I want to thank all my friends from Canada, especially Matt Shoychet, for giving me and all the kids an opportunity to feel the magic of Timberlane and I hope that many more OneFamily children get to experience it, too. Also, I want to thank OneFamily for all the help that they have given me after the terror attack. It is crazy for me to think that I am now on the other side of OneFamily, as one of the victims who survived. It was the kind people from OneFamily who were the first people to call me after the attack, who asked how I was feeling and who have never stopped being there for me. So thank you! My name is Emily and I am 15 years old. My story begins in Ukraine with the love of my parents, Alexander and Ella. My father was an engineer, and my mother was a hairdresser. He was Christian and she Jewish. In 1994, they decided to move to Israel with my older sister Inna. A few years later, I was born. My mother found a job in a factory, and my father enlisted in the army. It was always his dream to help the State of Israel. They got a small apartment where we all lived together. But on March 6, 2002, everything changed. My mother tells me that at 3:20 AM, I was rushed to the hospital because I became very sick. 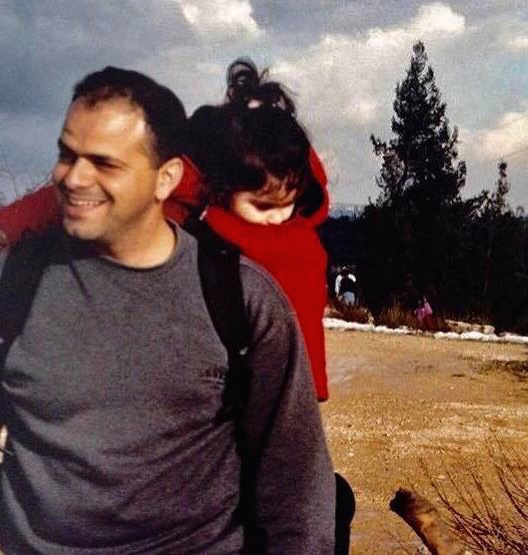 My father was not at home; he was on a patrol mission at the Gaza border. A few hours after my mom and I came home from the hospital, there was a knock at the door. Two officers came with the tragic news that my father had been killed. They told my mom that my father’s patrol was ambushed by terrorists and he was fatally shot, and that died at exactly 3:20 AM. From that moment on, 3:20 became much more than just an hour for us. My mom tells me that for many years, she would wait for 3:20 to pass, and then take a deep breath and try to sleep. You probably ask how I cope with the death of my dad. To be honest, I don’t think I have learned how to, but my journey continues. The hardest thing for me is that I don’t really remember my dad. When my family speaks of him, I close my eyes and try to envision him. What I want the most is to see him again – maybe just have breakfast with him, travel somewhere with him, and tell him everything about me, and how proud of me he should be. This will never happen but, nevertheless, it feels good to dream. A few years ago, I joined OneFamily and it has helped me a great deal. I made so many new friends who understand me. OneFamily has really shown me what true compassion is. My name is Adva, and when I was 10 years old my brother Aviv was killed. He was 23 years old and a captain in the IDF. 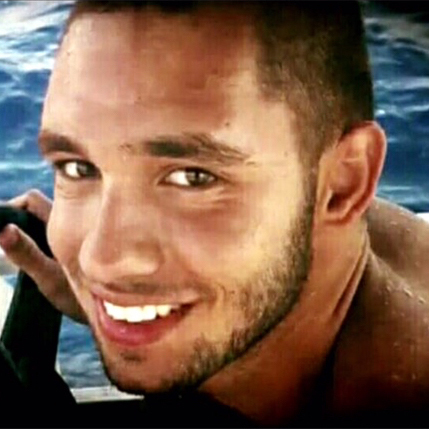 He was one of five IDF soldiers killed when their armoured personnel carrier was struck by an anti-tank rocket. His convoy was transporting one ton of explosives in order to destroy terror-tunnels being used to smuggle weapons along the Israeli-Egyptian border. When the rocket hit, they were killed instantly. 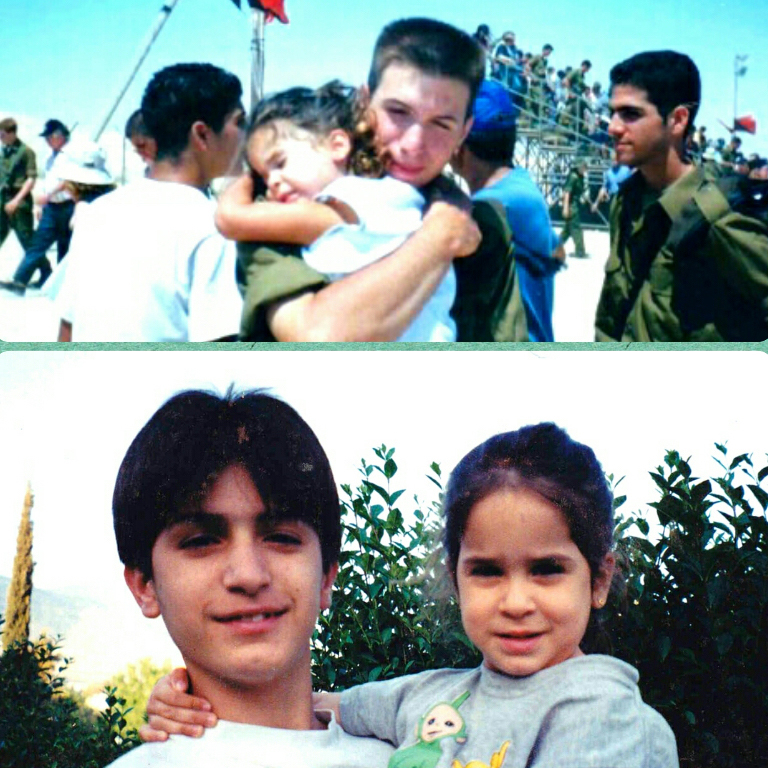 After his death, I joined OneFamily and I never missed a year of the OneFamily camps in Israel until I joined the army. Since I became a part of this family, I always wanted to be a counselor because I wanted to give back and help people in the same way I was helped. One year before the army, I finally got to be a counselor. It was one of the happiest days of my life. I was also a part of the first group of OneFamily kids to go to Camp Timberlane in Canada 10 years ago. This past summer, I returned as a counselor there as well. It is a beautiful program! It was March 20th, 2002, and it was a normal morning. My mother, my sister and me were in front of the TV. At the same time my dad, Meir, was taking the public bus No. 23 from to Nazareth to his base as he did every day. When the bus stopped at the Umm el-Fahm junction, a terrorist armed with a suicide vest boarded the bus and five minutes after, detonated himself killing seven people and wounding 21 others, completely gutting the bus. Everyone took it very hard, but I did not understand what had really happened, as I was very little. People tell me that my dad had a heart of gold and a loved everyone around him and that I look just like him. When I first came to OneFamily, the story was still sensitive to me, but after a few years of being with such great and people who truly care, it had become possible for me to overcome the tragedy and speak freely about it. I can only say one word: Thanks. My name is Yakir and I am 23 years old now. Almost 12 years ago my older brother, Moshe, was killed in the Gaza Strip when a terror tunnel collapsed and killed him. My brother was kind, modest, generous and the best brother I could have ever asked for. OneFamily, for me, was my rescue, my safe place that I could always go to. Kids from all over the country, with stories like mine, would share nothing but happiness and joy, going through hard times together but making each other happy nonetheless. If I could have spent another moment with Moshe, I would have taken him to go see the newest Marvel movie like we use to do, and right after, we would run back home for a good game on PlayStation. My dad was murdered 14 years ago. We lived 20 minutes outside of Jerusalem in a place called Bik’at HaYarden. He was employed in Tel Aviv, which was one hour from home. One day, on his way back from work, he passed a crossroad called Tzomet Tapuah. This was in 2001, during the Second Intifada. The crossroad was very dangerous; it was common for terrorist attacks, yet my father still drove this route nonetheless. On his way home he was ambushed by three terrorists who were waiting at the side of the road with guns. They fired seven bullets. Six of them hit the door of the car, but the seventh hit my father in his underarm. It went through his chest, directly to his heart. He died instantly and the car drove off the road. My mother and everyone else looked for him but could not find him. The police eventually found his car on the side of the road and told us he had died. The three terrorists were eventually arrested, and are still in prison. I have been a part of OneFamily for as long as I can remember. They have also helped support my family in many ways, including financially, when needed. I have been going to their camps in Israel for nine years already, and attended their program in Canada at Timberlane. Since the second grade, they have been my second family. I have so many good friends from all over the country and throughout the world, thanks to OneFamily. 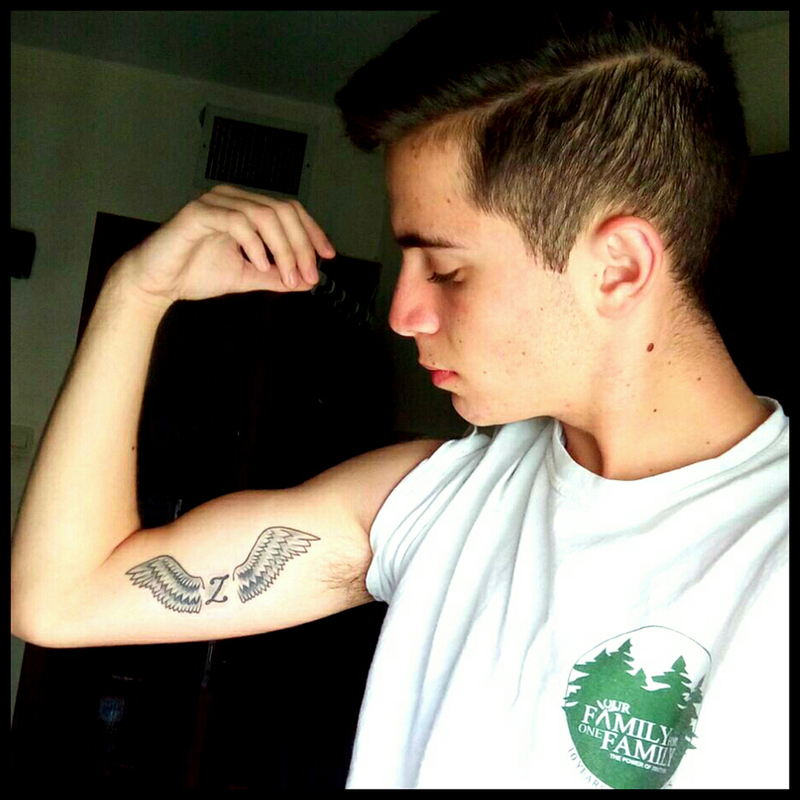 This year I got a tattoo of my father’s initial between two angel wings. His name was Zohar, and he will always be with me. My name is Stav and I am 20 years old. I am currently serving as a soldier in the IDF Golani unit. I come from a family of six, living in Netanya. I have three older sisters. My mom is a teacher and my father worked in the family carpentry business. Every year he would volunteer as a Lieutenant Colonel in the army. He said that you have to contribute as much as you can to help the State of Israel. My father and I had an amazing relationship: we would sing songs together, go fishing on the weekends together and always had Shabbat dinner together. I would help him at work, especially during Sukkot. He always had a smile on his face, and was never angry. On August 3, 2010, he was killed in a sniper attack on the Lebanon border. I was 15 years old at the time. From that moment on, my life changed forever. My father’s name was Barry, and every day I miss him and feel his absence, but in my heart he will be with me forever. When I joined OneFamil,y I made so many new friends and understood that I always would have somewhere to go and have someone to turn to. I want to thank OneFamily, the one place I can always feel safe. “I played basketball all my life and today I’m doing ‘ShinShin’ before the army with kids that can’t live at home in a youth village named “Ayanot”. My father, Daniel Ben David, was born and raised in Ahituv. He was a basketball player like me and in the army he was a paratrooper. He was the best father a young boy could ask for. We used to do everything together. 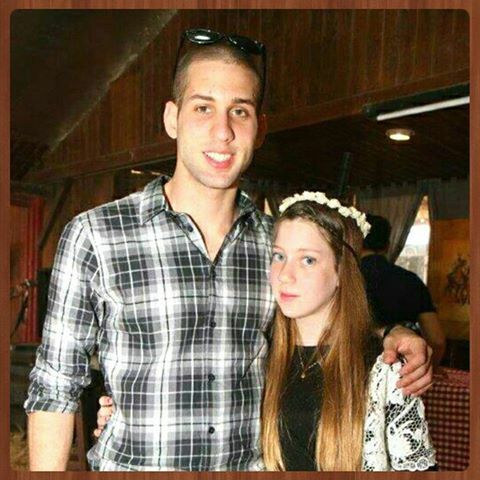 We played basketball together, we went to Maccabi Tel Aviv games together, and just had fun always. My dad was a special man and everyone loved him. He was a leader, funny, nice, loving and caring. We used to talk about everything and did everything together. He was my role model. My dad was killed in the Second Lebanon War on August 6, 2006, near Kibuttz Kfar Giladi when a katusha rocket exploded and killed 12 soldiers – one of them was my dad. I was 9 years old. He lives in me during every second of my life. He guides me and leads me like he did before he died. I do my best to keep my family together and be their guide like he was and still is mine. I love him and always remember him and a lot of what I do today and who I am is because of him. He will always be my guide and I’ll always look up to him. I want to say thank you to OneFamily for everything they do for me and how they gave me a second home where I could feel loved and safe. “My name is Neta (left), and I am 29 years old. My sister Tali (right) was the oldest of the siblings, 6 years older than me. I was her Barbie doll. She used to dress me up and put make-up on me, and we also wrote songs together. She believed in me like nobody else did. She was my role model. I grew up imagining that one day I would look pretty like Tali, smart like Tali, talented like Tali, surrounded by boys like Tali, become a good student like Tali and an excellent solider like Tali. 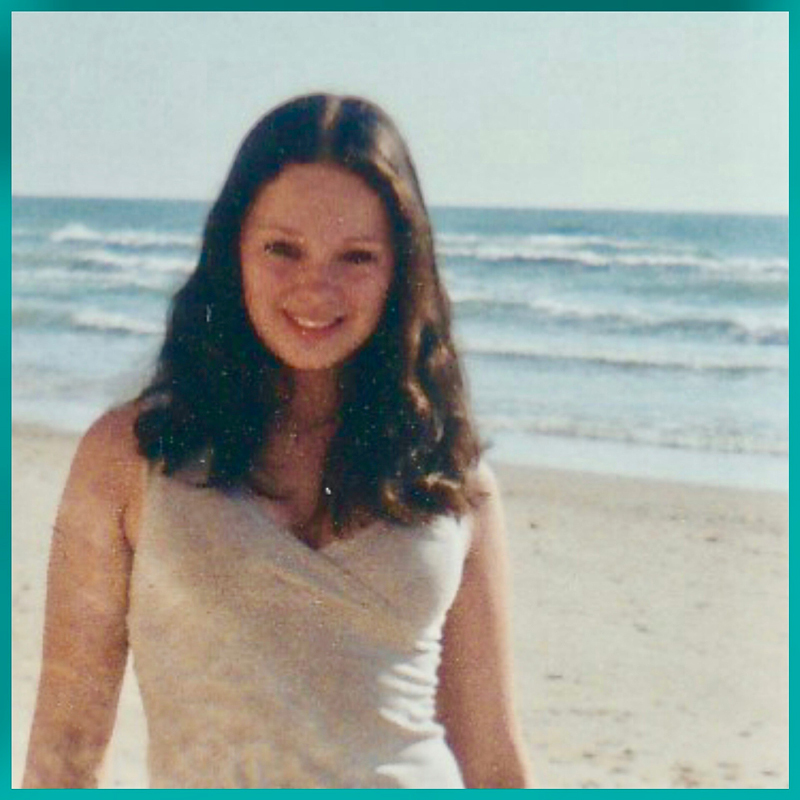 One day, when she was coming home for the weekend from the army and waiting at the bus stop, she was shot and murdered by a terrorist. The terrorist was disguised as an Israeli soldier and opened fire into a crowd of civilians. Two others were killed as well, along with 13 injured. When Tali died, like a thunderstorm on a shiny day, fear and agony were born into our lives, unwelcomed…It appeared on our doorstep without permission and walked in taking my sister’s place. This became the new leader in our home…Now that time has passed, we have learned to push them away, into the attic. We don’t want them, they are not Tali, for Tali was good, great and excellent. 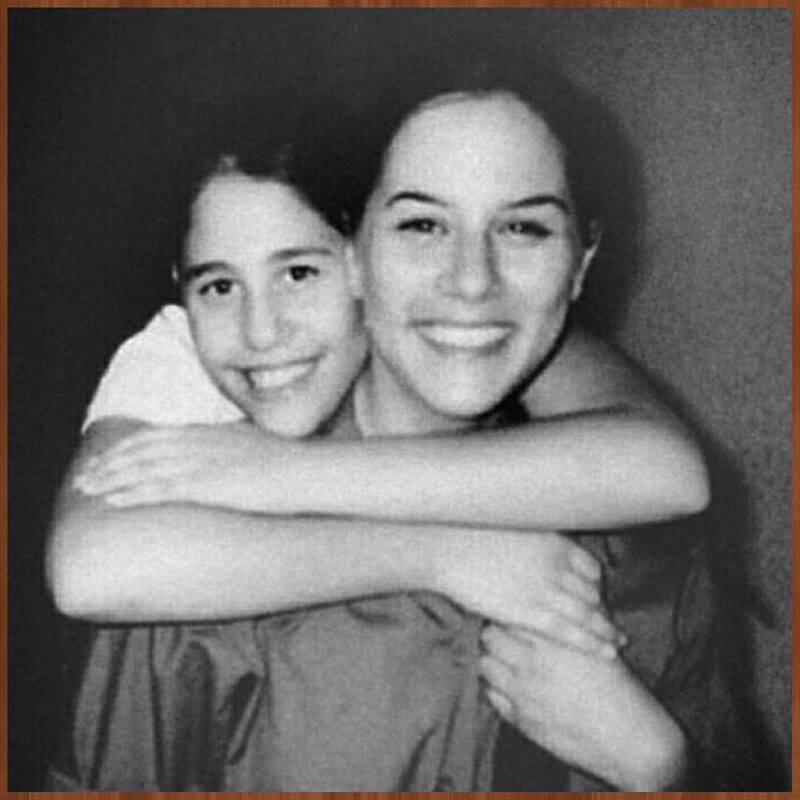 If dreams could come true, my only wish would be that Tali could hear me one more time so I could thank her for being there for me, even after all these years – for me, my brothers, my parents, my nephew…Thank you Tali for everything we are today and everything we have. My name is Saar and I am 15 years old. 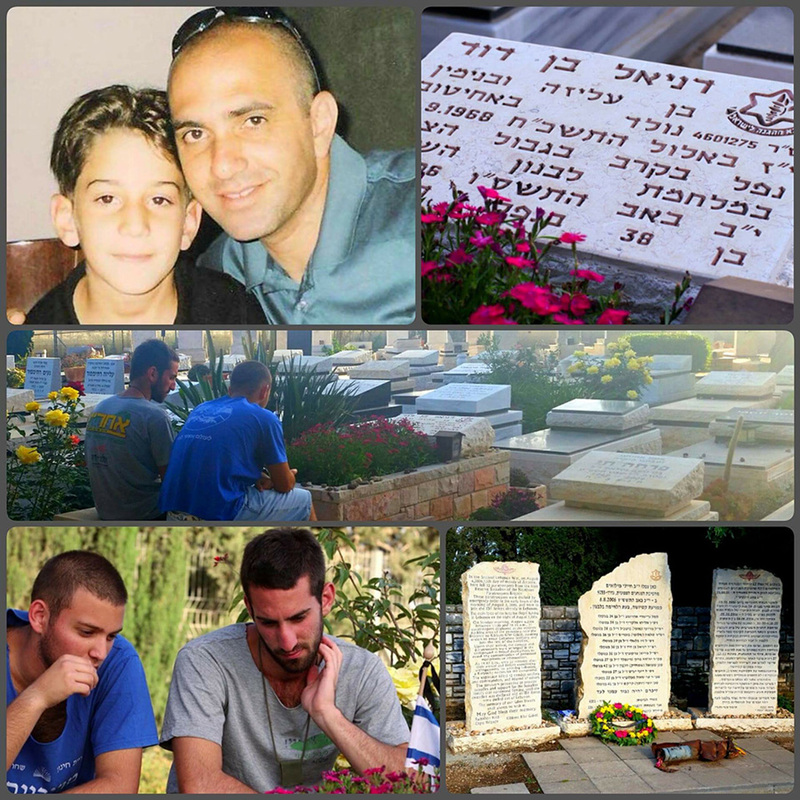 Two years ago I lost my brother, Adar, in Operation Protective Edge. He was shot and killed near the Gaza border by Hamas terrorists who emerged from a newly built terror-tunnel. My brother and I had a special connection and he was my best friend. My favourite memories of Adar are his smile and the optimism he had at every moment. Since I lost him, OneFamily has been there for my family and me, and has supported me whenever I need them. They truly have helped me through the hardest times. OneFamily has really become a second home for me, and I want to thank them. If I had one wish it would be to know that Adar is watching over us and that he is happy up there. My name is Nir and I am 14 years old. Four months ago, on Yom HaZikaron (Memorial Day), my brother Shahar, a soldier in the IDF, was critically wounded while patrolling near Jerusalem. While on duty he noticed a mysterious bag on the side of the road and identified it as a bomb. He immediately began clearing nearby people and cars off the road. While doing this, a terrorist exploded two other bombs that were close to my brother. 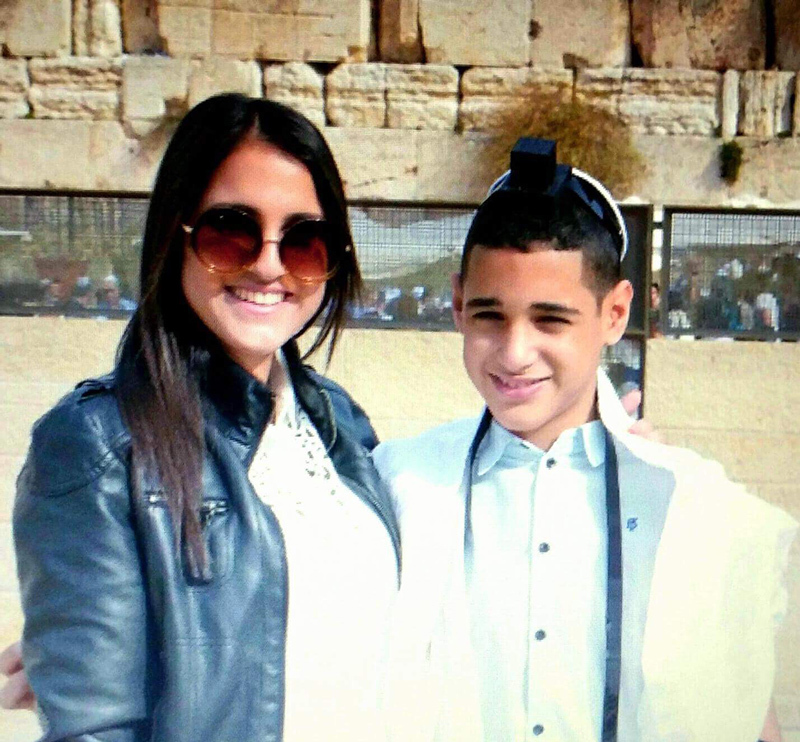 Shahar was taken to the hospital, and after 12 hours in surgery, his life was saved; however, the damage was severe. He lost his top right jaw, many of his teeth, and he injured his neck. His recovery will take around three years. It was later discovered that a dentist from the Palestinian village of Abu Dis was the terrorist who orchestrated the attack, and also set off the bombs with his cellphone. I am thankful for OneFamily, who opened their arms to my family right after the attack. They also gave my brother Gil and I the chance to come to Canada and experience Camp Timberlane this past summer. I am Gil, Nir’s older brother. 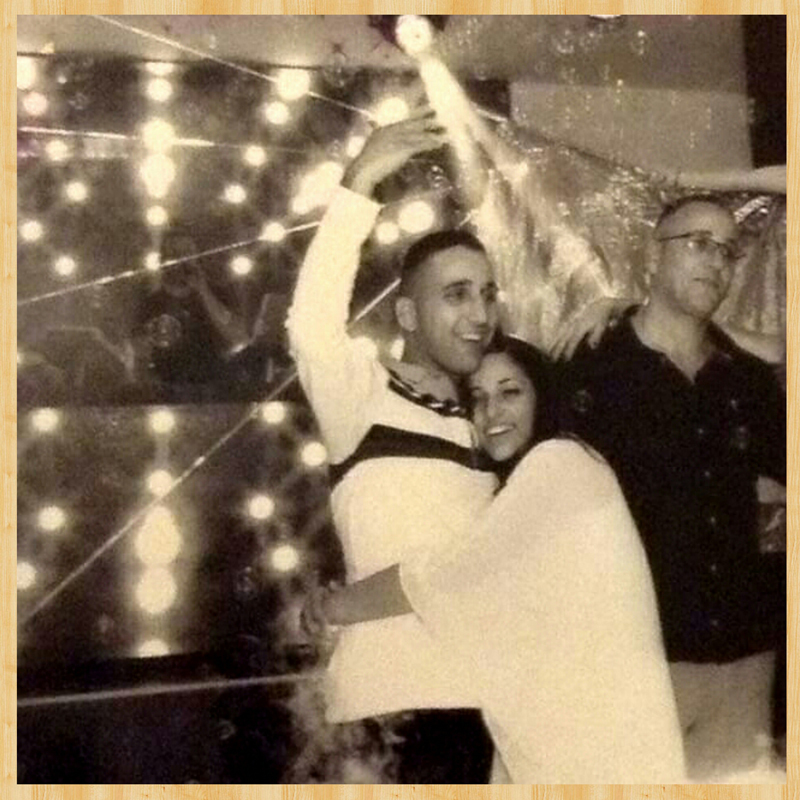 OneFamily gave us the best time of our lives after Shahar was wounded. At camp, we had so much fun, which took away the stress of constantly thinking about our brother and our family. We just had fun when I could and it truly made this the best summer of my life. Camp Timberlane taught me so much about myself. I just wanted to say thank you to OneFamily and Timberlane for all that they have done. My name is Bat-el, I am 23 years old, and my family has suffered as a result of terrorism. When I was 8 years old, and my brother Almog was 4, our mother was taken from us by a terrorist. 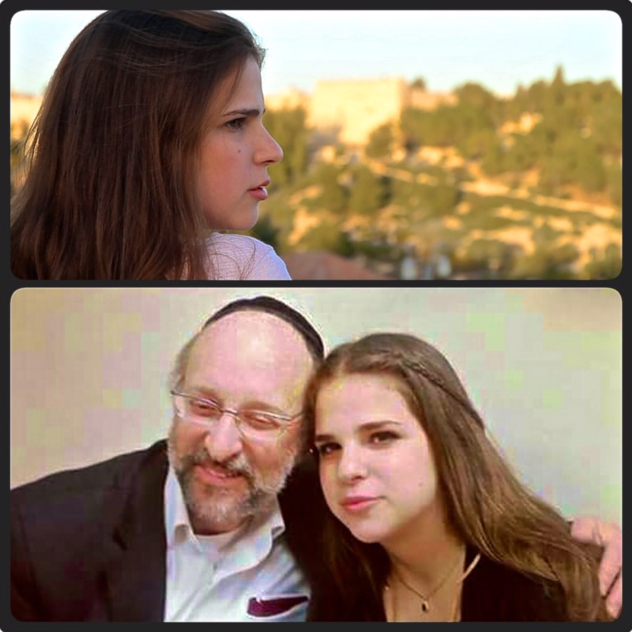 On December 2, 2001, she went to visit her grandmother who was hospitalized in Haifa. On her way back home, she took the number 16 bus. A few seconds after she boarded the bus, a suicide bomber detonated his explosive-vest while paying the bus driver. She and 14 others were murdered. My mom’s name was Riki, and we will never forget this day. Our family will never be complete again – there will always be a missing part. We are trying to get along each day and continue our lives, but as time passes, we only miss her more. She is always on my mind and I’m sure she is in Heaven protecting us. However now, we have a second family, OneFamily, and they are amazing. Thank you. My name is Ron and I am 16 years old. 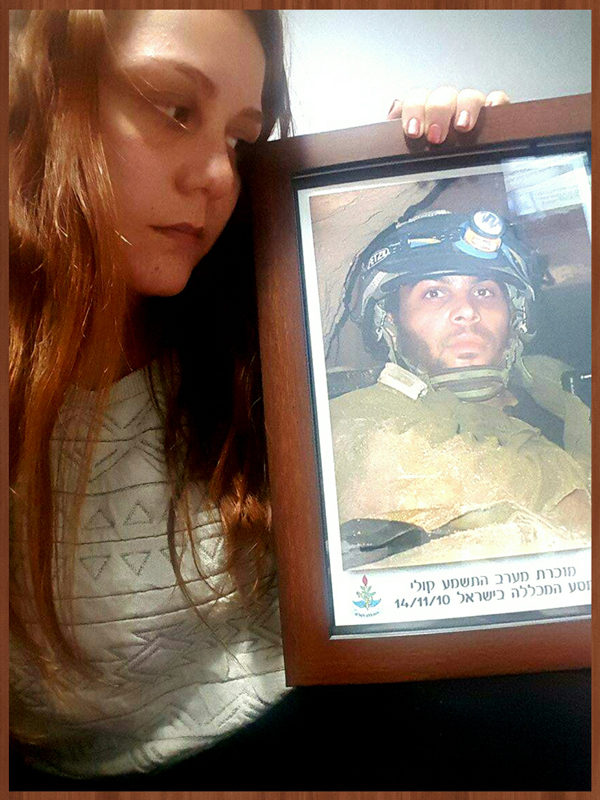 Two years ago my big brother, Bar, was killed during Operation Protective Edge, when a tank-missile hit his military vehicle. Bar was the oldest of our four siblings. He loved the water, and started playing Water Polo when he was 10 and continued it into the army. He was also on the Israeli National team and the Israeli Tivon team. When Bar joined the army, he was offered to serve as a sportsman, but he chose to serve as a fighting soldier in the Combat Engineering Corps. Bar was always happy, and loved nature and travelling. After his death, we made a memorial project called, “We Travel With Bar,” where anyone who is travelling is invited to take a photo of themselves holding a sign with, ‘Travelling with Bar’ written on it, and send it to the Facebook page, “In the memory of Bar Rahav.” The sign is travelling all over the world from the East to South America, Europe, Africa and throughout North America. Bar is travelling with them. After the tragedy, many things helped me with the loss of my big brother. First, I went back to dancing, where I would dance in hopes of forgetting the world outside. I also joined OneFamily, and experienced the ‘Power of Together’. I got to know a group of kids of all different ages, and we became one big family; they are my extended brothers and sisters. They all have gone through similar experiences to mine. The first camp I went to, I met twins, Alon and Tamar, who are four years older than me. We became very good friends. They and all my other friends from OneFamily understand me even if I don’t want to talk. They look at me and know everything. We speak on the phone every Friday and meet at their events, which happen in Israel and abroad, including Canada this past summer. So what has OneFamily given to me? This is a hard question, but it has a simple answer: OneFamily gave my life back to me. My name is Assaf, and I am 23 years old. 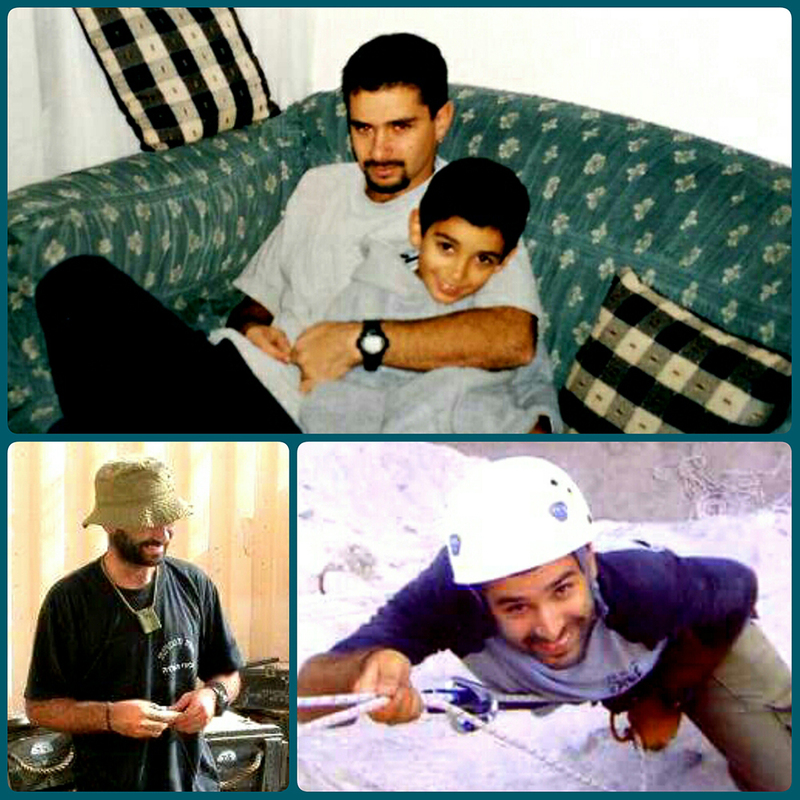 Sixteen years ago my father, Amir, was killed. He was a company commander in the combat engineering corps, and they were called in to reinforce the area near north of the Dead Sea. While eating dinner, his company was caught in a terrorist sniper-attack. The skirmish lasted several hours, but in the end, my father was killed. I have a lot of memories from my dad. Some of them are real, but some of them are probably a collection of pictures and stories, which I have compiled over the years. This puzzle of memories is what helped me say today, that my father was a man of peace, values and family, and I am trying to walk in his footsteps. Last summer I had the honour to return to Camp Timberlane, in Canada as a counselor – a place where I had gone to 7 years before as a camper with OneFamily. This was an experience that I will never forget. The happiness and smiles that Timberlane brings to the OneFamily kids makes you feel like you’re doing something good, right from the heart, and of course, makes you smile as well. Three weeks of fun, with new friendships that will never break. OneFamily helped me though the first few years of bereavement, and despite long periods where I was away from it, I know that I always have a place at OneFamily. My best memory of my older brother was his smile. And he had the most beautiful one. His beautiful smile would make me always feel that everything was fine, even when it wasn’t. My name is Linoy and I am 16 years old. My brother’s name was Gal. Two-and-a-half years ago, he was killed during the Protective Edge war. He was shot by Hamas terrorists by an anti-tank missile. Gal and I had a special connection. We were good friends, played music together and would talk about everything. Since his death, OneFamily has always been there for me and my family. They helped me through the hardest of times. I met the best people there and I am grateful for that. I think that without OneFamily, my life would be totally different. Thank you. My name is Adi, I am 13 years old and I live in the centre of Israel. 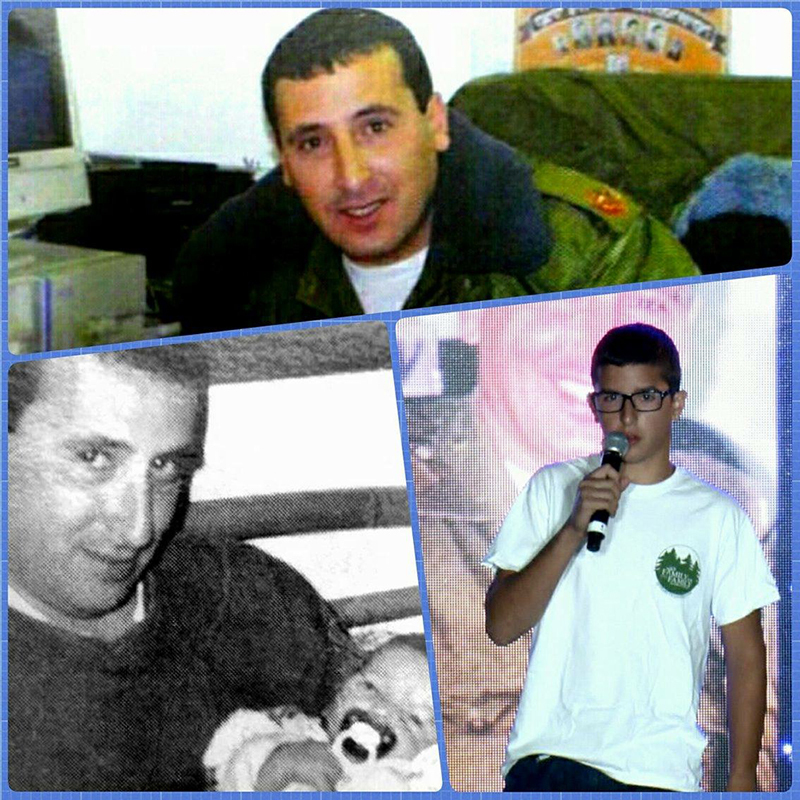 Thirteen years ago, my brother Shaked was killed during an army exercise in the Golan Heights, while serving in the reserve forces. Shaked was a red-faced man, and since kindergarten his friends would call him “Shaked the Commander.” He was a very sociable person who excelled in many things including swimming, music and sports. 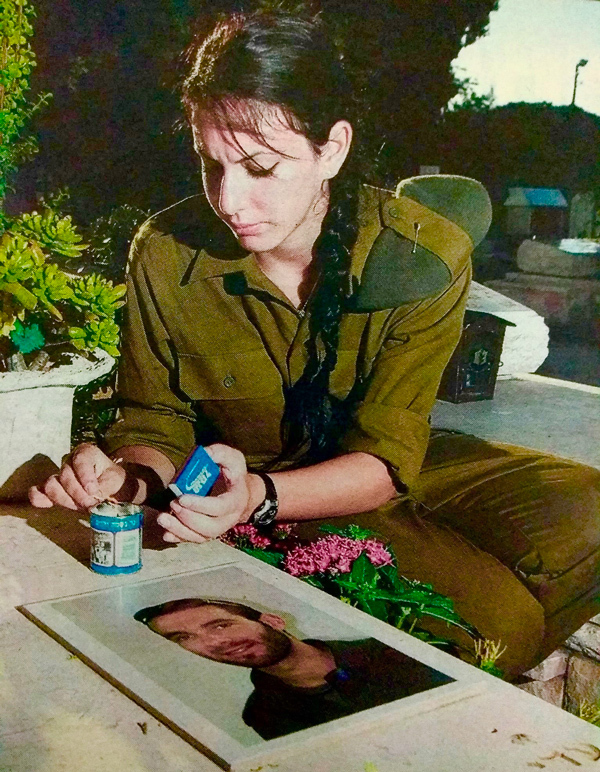 Shaked joined the Army in 1996. In the beginning, he trained to be a pilot, but six months later he decided to become an artilleryman, and eventually an officer. OneFamily supports and helps my family a lot. 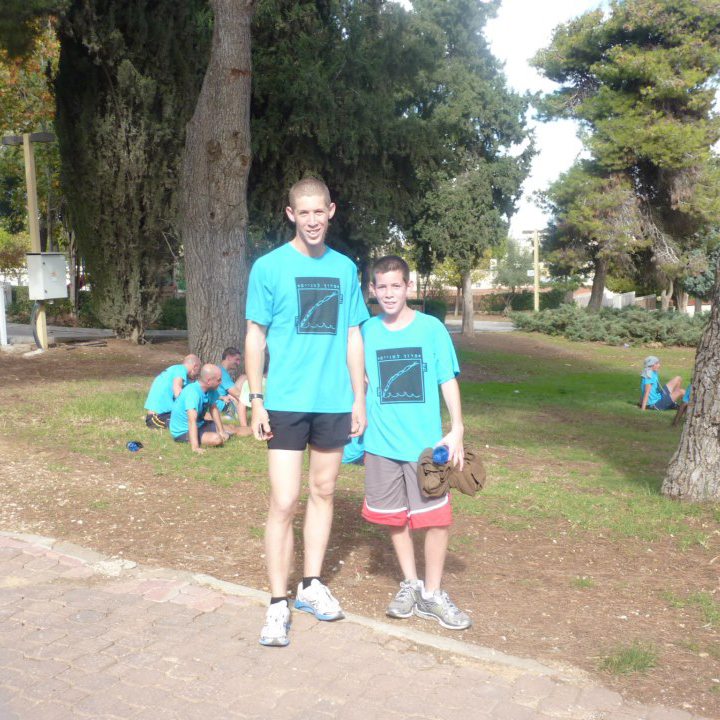 Every year, my brother Nadav and I go to camps and on trips. My mother also goes to the OneFamily centre in Ra’anana once a week. Last summer, I flew to camp in Canada with other kids from OneFamily for three weeks; it was a great and unforgettable experience. My brothers Dor and Nadav have also been to Canada. Dor was a counselor there in 2009. I would like to thank OneFamily for everything they have done for us! Hello, my name is Ori and I am 14 years old. 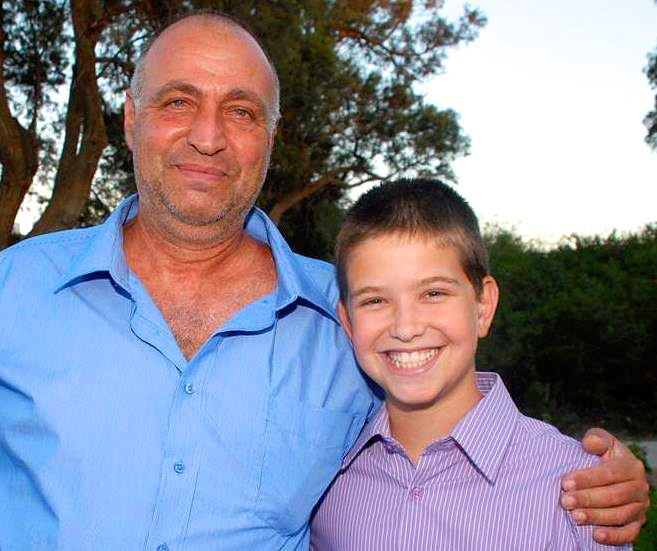 Two and a half years ago, my father was shot and killed in an ambush by Hamas terrorists. They snuck through a tunnel from Gaza. This was during the beginning of Operation Protective Edge. It was a normal Saturday afternoon. My mom was taking nap, my little sister was playing with her dolls, my older sister was talking with friends on her phone and I was on the computer. Suddenly there was a knock at the door, and my big sister saw that there were soldiers there. My mom immediately went to the door. Some words were spoken, and my mom and sister started to scream and cry. I didn’t know what was happening. Then I saw my grandmother standing behind them, also crying. I understood something horrible had happened. My dad’s name was Amotz. He taught me how to ride a bike, taught me about nature and always had a smile on his face. He was the coolest. At age 46, he went to the gym three times a week, and he was also a major in the army reserves, where he would train other reservists once a month. When I came to the realization that I would never see my dad again, I was broken. It was a dark time in my life. Fast-forward two months later, when a lady named Nava came to visit us. She was from OneFamily, and since then they have supported us and helped my family a lot. Last year, I traveled to Canada in the summer with other kids from OneFamily for three weeks. It was the most amazing and unforgettable experience I would like to thank OneFamily for everything they have done for us. About a week ago, Neta and I returned home after spending three and half weeks at Camp Timberlane in Canada. We were able to attend the camp through the help of OneFamily, an organization that helps Israeli victims of terror. During the trip, we stayed for five days with a wonderful family in Toronto. 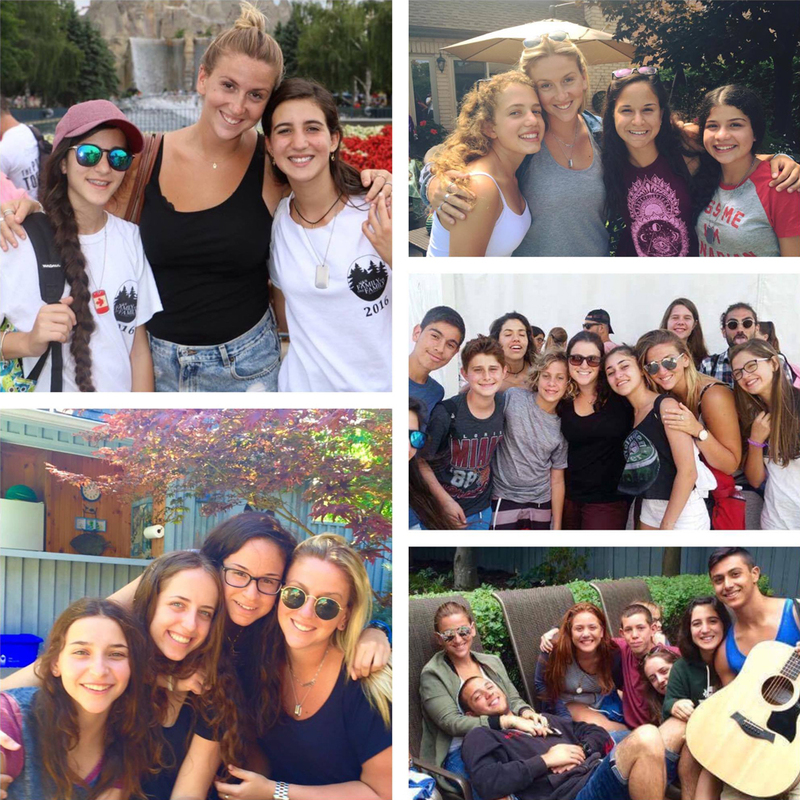 The trip was a “once-in-a lifetime experience!” We made lots of new friends from Canada and Israel. In one of the camp activities by the lake, a OneFamily counsellor spoke to another Israeli kid and me, and said there is a saying from Winnie-the-Pooh, that he says just seconds before eating honey, “There was a moment just before you began to eat it which was better than when you were (eating).” The time at camp in Canada was “an experience exactly like that – unparalleled. On Friday nights at camp, we had a short ceremony after dinner, which is a reflective service called “Chapel.” The theme varies each week, but it is always tied into the camp philosophy and culture. At the last Chapel, we discussed what OneFamily is and what the organization does. The kids who came with OneFamily spoke about their loss. 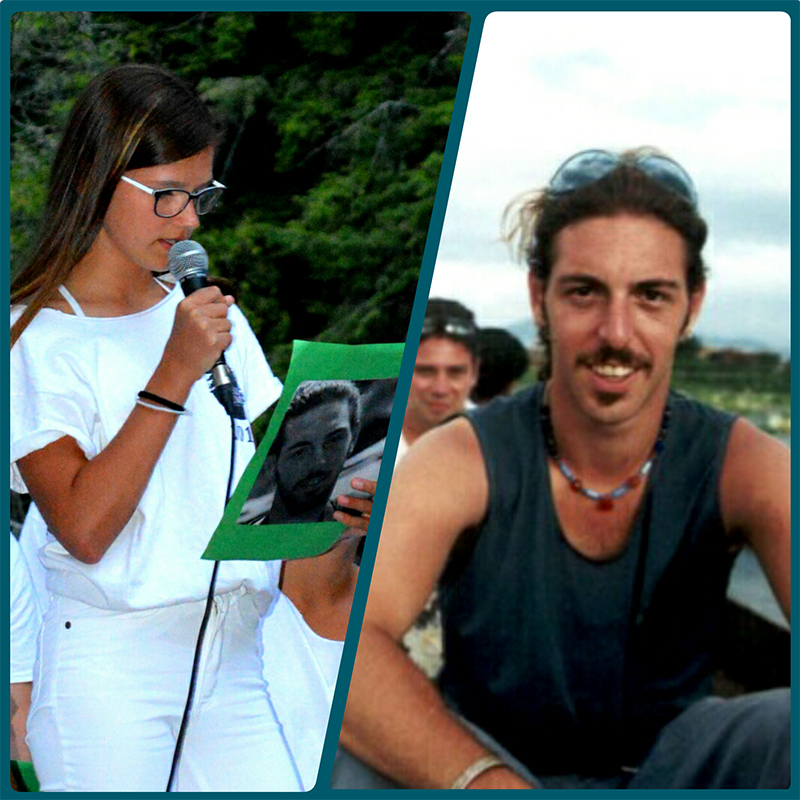 Enav and I spoke together, about you, and about her dad. We talked about the rocket attack that ended both your lives in 2014. It was important to speak about continuing your traditions and to teach the Canadians about the Israeli story and how many people have been killed and injured in terror attacks. There are people who feel that after they are bereaved, they need to take everything into account for the person who died, but I feel differently. I know you are watching over me and this trip to Canada, and camp was like a gift from you as you watch over me. 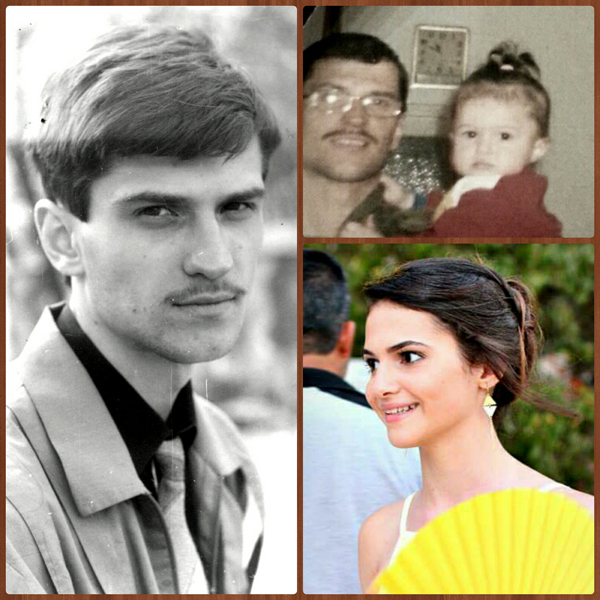 My father taught me to always smile, and OneFamily causes us not only to smile on our faces, but also to always smile on the inside. Now I know that my father looks down at me and smiles. 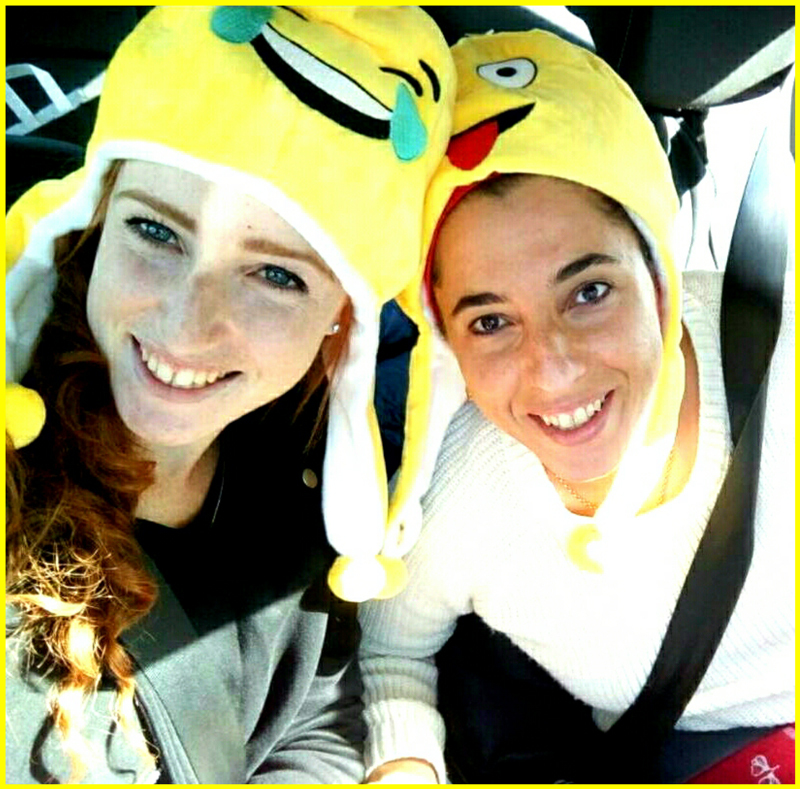 My name is Renana (left) and I am 18 years old. Almost a year ago, a terrorist broke into my home and killed my mother, Dafna (right). He stabbed her repeatedly in her chest and head. I know this because I was there, and came face to face with her killer. The only reason I am alive is because my mother, in a final act of self-sacrifice, refused to let him pull the knife out. She struggled with him, holding it inside her with the strength of a mother determined to protect her children. I heard her screaming and ran to her. She lay nearly unconscious, with the terrorist above her. I started screaming too, trying to keep my brother, 7, and sister, 10, away from what was happening. The terrorist ran away, and I tried to get the knife out, but it was too late. I watched her take the last breaths of her life. It took less than a minute for my life to be completely torn apart. That day, I lost my best friend. My mother’s last words to me were about how proud she was that I asked her for her opinion on everything. But of course I would, as no one’s opinion meant more to me. There is no way to describe the pain of our loss. The road to recovery has been steep and unpredictable. But there has been one constant: the support of OneFamily. A staff member from OneFamily came to the shiva, and told us he was there for us in any way we needed. Later, I was invited to OneFamily’s upcoming youth camp. From the first moment I arrived, I felt like myself again. In school, everyone treated me differently, but at camp, I didn’t feel different. Everyone was dealing with their emotions the way I was dealing with mine. More than anything else, OneFamily made us feel we were not alone, which is the scariest feeling of all. The experience with OneFamily has been crucial to my healing process. I don’t know any other way I could heal as much as I have, though I still have a long way to go. We know that we will always have OneFamily’s support, no matter what. There is no way to describe what that means to us. Daddy, I want to talk to you! It has been too long since we last spoke. Those evil ones, it is my heart that they broke. Forgetting that violence brings no answer to any case. Hoping and praying you would stay alive. And sent the salvation of your soul far ahead. Can’t believe you are gone. You took away with you my shining sun. And here I am, grieving at your stone. Why? Oh why did you leave me all on my own? My name is Tamara and I am 23 years old. My connection with OneFamily Fund began five years ago when I was given the honour to be a counselor for 30 amazing children. Within days, these incredible people became my family. While I knew that being a counselor for OneFamily would provide me with a unique opportunity, I did not expect that it would have such a profound impact on my life. Since 2012, I have remained actively involved with the organization. For the past three summers, I have travelled to Israel where I have had the opportunity to meet many of the families and loved ones of One Family/Timberlane campers. I witnessed first-hand the strength of these individuals who have been victimized by such horrific tragedies and learned that despite the obstacles they have faced, their homes are filled with so much love, laughter and happiness. It is truly an honour to be welcomed into so many homes and to be made to feel like I am part of the family. I look forward to the summers where I get to see the smiling faces of returning friends and the excitement of new kids who get to experience the magic of Timberlane. It is nearly impossible to express the gratitude and honour it has been to be a part of such an amazing family but in the simplest terms, I wanted to say thank you for welcoming me into your lives and being my brothers and sisters. I am a better person for having met each and every one of you. I love you all. Hello, my name is Lihi, and I am 15 years old. 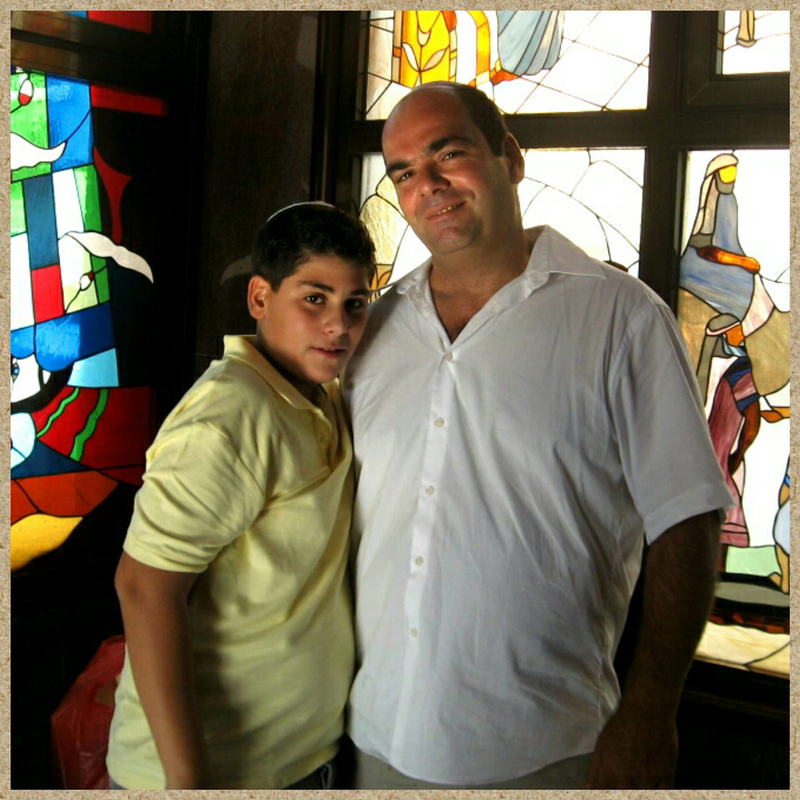 One year ago today, my father was killed in a terrorist attack in the Sarona Market in Tel Aviv. We were out for dinner at the Benedict restaurant – my father, stepmother, my brother and me. In the middle of the meal, we suddenly heard loud noises, like fireworks. I couldn’t understand where it was coming from. My dad pulled my brother and me under the table to protect us. I then saw two men wearing business suits standing opposite from me. They were holding huge black guns firing at the people. At this moment, I realized we were in the middle of a terrorist attack! In my fear, I jumped up and ran to the washroom to hide. I noticed my stepmom in there as well – she was injured. Her hand, knee and back were all bleeding from bullet wounds. The police arrived soon afterwards. I was very nervous in these moments. My father had been shot several times, and we were all taken to the hospital. After some time, we were told that he had died – they could not save him. My father’s name was Ido. He was an amazing person. Everyone loved him and wanted to be in his presence. He worked as a senior executive for Coca Cola Israel. I knew that I could trust him with anything. He taught me to appreciate and love, respect and care, to be a straight and honest person, to always think of others, to help everyone, and that family comes first. OneFamily visited us a lot after the attack, and they help us with whatever we need. They took us to camps with other kids and amazing counselors from the organization. They are always there for us. They call and visit often to see how we’re doing. OneFamily has actually become my second family, and this summer I will be traveling to Canada to go to Camp Timberlane with the OneFamily group. I am very excited. My name is Amit and I am 14 years old. My father has been suffering from PTSD (Post Traumatic Stress Disorder) since 2014. He was a reserve soldier called in during Operation Protective Edge. One day, while off duty, he was sitting with four friends having coffee. He got up and went to call his sister. While he was on the phone with her, a rocket was fired from the Gaza Strip and fell on his friends, killing all four of them. Because of this, my father won’t speak anymore. He grinds his teeth from his nightmares … when he can even get some sleep. He does not smile. He does not laugh. He does not work anymore. My mom has become the rock that keeps us going. Luckily, my father survived the attack. He is physically here, but he’s not really here – he is not the great father I grew up with. But he is now seeing a psychologist and he goes to an art workshop twice a week. These things are really helping him. This past summer, I joined OneFamily. I traveled to Canada with other OneFamily kids to Camp Timberlane. The experience was wonderful and really helps kids from bereaved and wounded families. Despite what has happened, my father is my best friend, and he will always be my best friend. My name is Alisa and I am 16 years old. It was difficult to grow up without a father, to have no memories that are my own. My earliest memory was when I was 5 years old. My mom and grandma took me to the cemetery to visit my father’s grave. I was so excited to go there, so I wrote him a letter and brought stickers to decorate his stone. I didn’t really understand where I was. My mother then explained it to me, and that he was under the stone. I started to yell at her and cry, that she is hurting him and that I wanted to see him now. She started to cry. My grandmother hugged me and said that dad is in a happy place. My dad’s name was Sergei, and he was killed on his way to work. He was on a bus when a sniper opened fire on the bus. My dad tried to take control of the situation. He was able to save three people, but the fourth was in shock and wouldn’t leave the bus. My father took the bullet and saved him. 11 people were killed in the attack, including my father. My memories come from my mother and grandmother. He would take me for a walk every morning before going to work, and he loved me with all his heart. I have been a part of OneFamily since I was seven years old. OneFamily means the world to me. They help me on the bad days, and on the good. They always support me and my family. My name is Ohad and I am 14 years old. 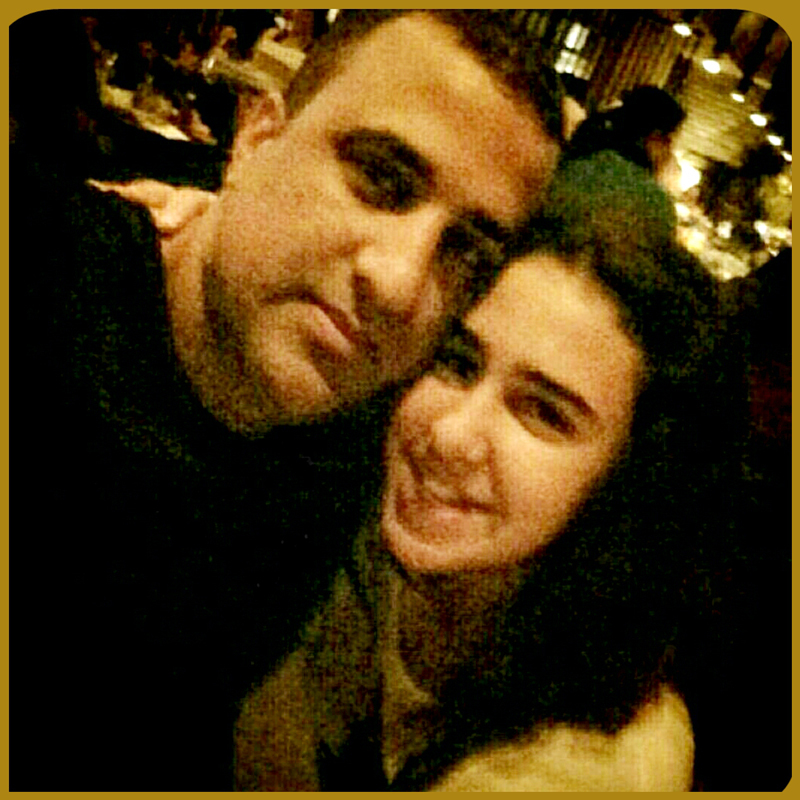 Every week my older brother, Tomer, and I would go for hamburgers – just the two of us. We would talk about everything, watch TV together, go bowling together – we did everything together. He would always take care of me and always call to check in. He was the best brother. During my brother’s military service, he worked at a restaurant on the weekends. He had been working there for two years. Exactly four years ago today, an Arab co-worker from the restaurant, who my brother knew for a long time, asked him for some help in his village. My brother always helped people, so he said yes. They took a taxi together to the Arab village. Nidal Amar was the name of the co-worker, and he was lying to my brother. He kidnapped my brother. He murdered my brother. He threw his body in a well. My brother did not come to Friday night dinner that day. He was missing. The next day, the police arrested Nidal Amar, and he showed them where he had my brother’s body. They discovered that Nidal’s brother was a terrorist who was in jail, and Nidal thought he could trade a dead Jew to get his brother out of jail. For me, OneFamily is a loving, caring and supporting family that makes me feel as if I’m not alone. There are more people like me who are dealing with pain such as mine. I count the days until the camps where I meet with friends, have a good time and gather experiences to be remembered for life! The trip to Canada this past summer was the most significant experience of my life. I thank OneFamily for the opportunity, and for the loving and caring they have provided me and my family. My brother was everything to me. He was my life. What did he do to deserve this? 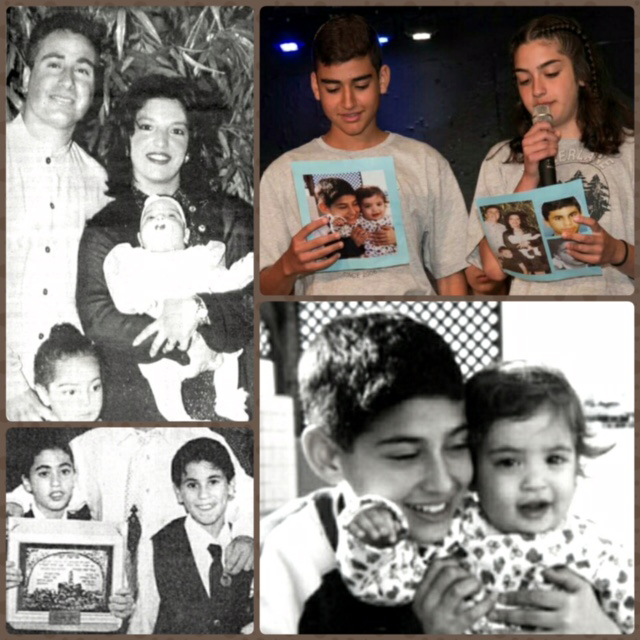 My brother Shalev and I were born into a world of memories (top right). My name is Talia, and I am 13 years old. 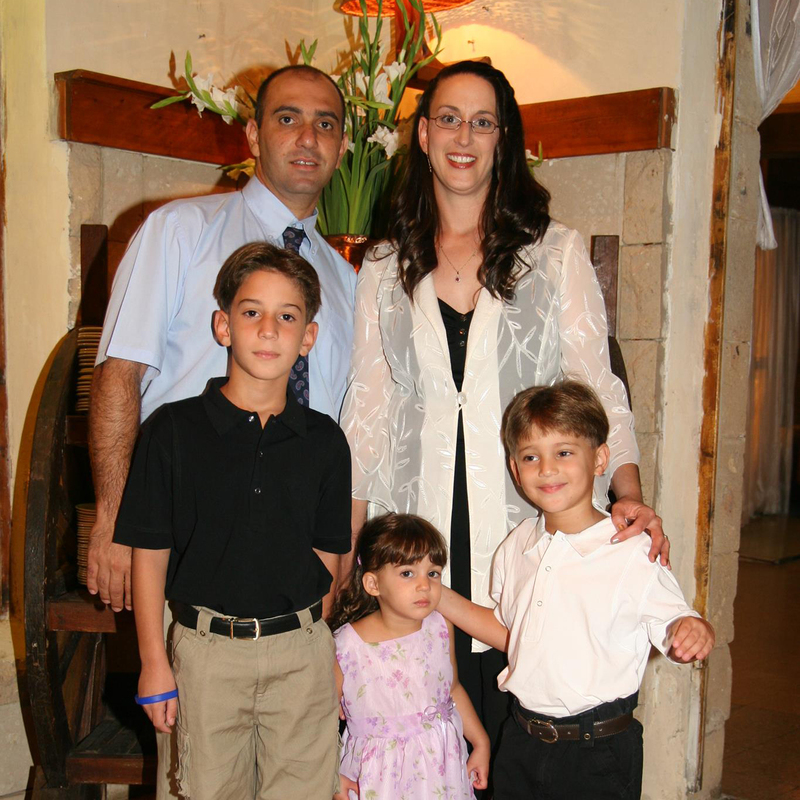 Fifteen years ago, our family was at our cousin’s Bar Mitzvah in Jerusalem. When the celebration was over, a suicide bomber blew himself up, murdering 11 people. Eight of them were from our family. Our brother Lidor was killed – he was 10 years old, and our sister Oriah was killed – she was just 18 months old, (bottom right). Our aunt, uncle and their two daughters were killed, (top left), and two other cousins who were brothers were also killed, (bottom left). Eight people. Eight family members who we will never know. I don’t know who suffers more; my parents and my older sister, who have all the memories of everyone we lost? Or is it my brother and me? 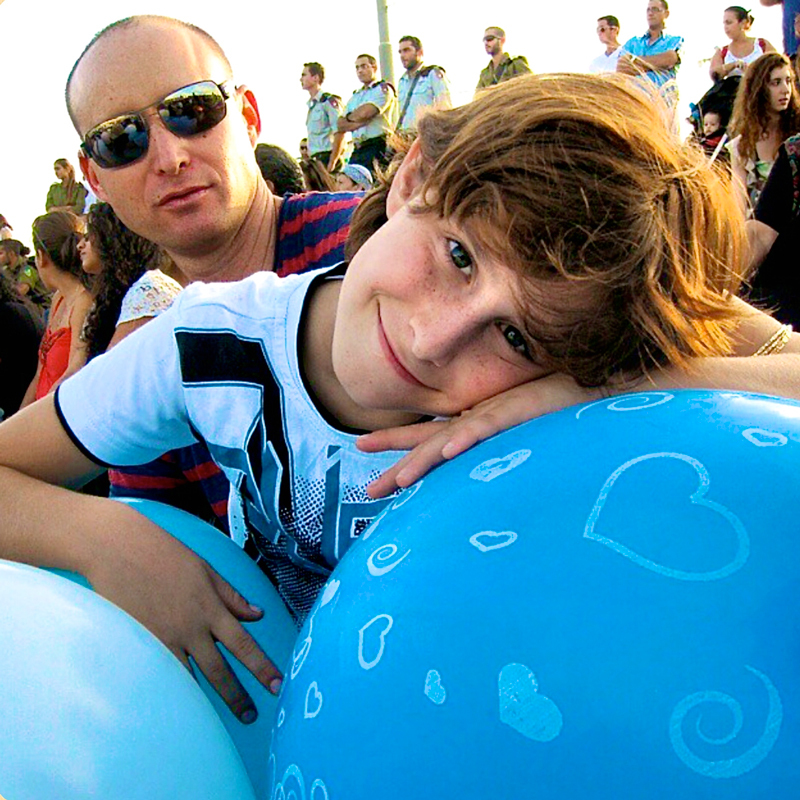 Shalev was born one year after the attack and I was born the following year. OneFamily has supported us since the tragedy. For me, it is a place that gives me the opportunity to talk about my pain and never feel alone. My brother and I, and our older sister, Noy, have gone to their camps in Israel since we were young. Noy went to Canada with the first OneFamily group to Camp Timberlane 11 years ago. This past year, Shalev and I also traveled to Timberlane. We met friends there for life, and returned home happy and full of positive experiences. Without OneFamily’s help in Israel and Canada, coping would be much more difficult, so we thank you! Every time someone asks me how many brothers and sisters I have, I never really know what to say. We are 5 brothers and sisters: 3 in real life, and 2 in our hearts. Our memories are really from the photos and stories – a love that we try to touch, but can never hold. My name is Artur, and I am 15 years old. My mother’s memories are all I have of my older sister Maria. Many years ago, before I was born, my sister went with some friends to the Dolphinarium in Tel Aviv. It was a fun disco place for kids. While they were waiting in line to go in, a suicide bomber blew himself up, killing 21 teenagers, including my sister. This was one of the worst attacks ever. Maria was very beautiful – she loved to sing and dance to Brittney Spears. My mom says that I am just like her. I wish I could have known her. OneFamily means the world to me. They help me on the bad days and the good ones. They are always there for my family and me. The trip to Canada this past summer to Camp Timberlane was the most significant experience of my life. I want to say thank you to OneFamily for everything! My experience was amazing, I met new friends, did things that I didn’t do before, and I am already waiting for next year! My name is Danielle and I am 26 years old. When I was 14 my brother, Adi, was killed in the Second Lebanon War. His team entered Lebanon at night and was supposed to reach a certain location, a house. They didn’t get there before sunrise, so they had to enter a different house to prevent Hezbollah from spotting them in broad daylight. The house was in poor condition – no windows, and located in a dangerous place. 120 soldiers, including my brother, entered the house. At 1:23 PM, an anti-tank missile was fired at the house where Adi and his fellow soldiers were staying. Adi was killed along with eight other soldiers, and many others were wounded. I did not believe that my older brother, my hero, was gone and would never come back. Although Adi was eight years older than me, we were very close. I admired him and loved him very much. We spent a lot of time together; playing, talking about life, going on family trips and so on. He helped me in my high school studies and advised me on basically everything. He was kind and modest, with a great sense of humour, and had a huge heart full of love for everyone. He had a strong willingness to help anyone who needed it, no matter what. During his army service, when he would come home for weekends, he used to share his stories and experiences with me. I was so proud of him and admired him so much. During my service, I was able to get a significant position within the same unit that Adi was once a part of. OneFamily for me is a way of life. You enter from the lowest place in your life and they allow you to climb back up to the highest place once again. I met a second family, who gives me light, joy and the strength to continue. I met people who, without words, knew what I was feeling, and with one glance, could give me strength to laugh again. It’s the place where I can be who I am without wearing any masks. Many thanks to OneFamily for the opportunity to be part of something great! My name is Noam, and I am 16 years old. 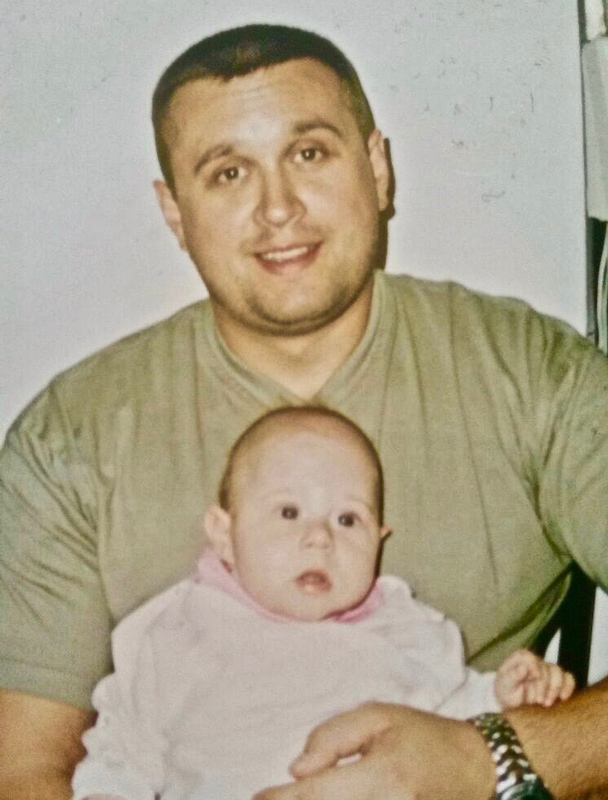 My father, Natan, was killed in a rocket attack 11 years ago, during the Second Lebanon War. I was five years old at the time, and my little brother, Yahly, was only two. It was difficult to grow up without a father. We are on a never-ending search for memories and stories of our dad from anyone who has them. One of the only memories that I do have is from the beginning of the war, when my dad was called in to reserve army duty. When he was leaving our apartment, he took some cookies with him, but I got mad because I wanted the cookies. They were my favourite. So he gave them up to make me happy, and took crackers instead. After he was killed, the army sent us back his belongings – the things that survived the rocket attack. And with his things, were the crackers, unopened. I never had the chance to create any more memories with my dad, but I feel like I know him from stories like these. OneFamily has given me so much. I’ve been able to meet the most amazing people, who became my brothers and sisters. These kinds of friendships are the ones that last forever. This is a place where you can be yourself, you can express your feelings, and you can be understood. My sister was awarded the Medal of Honour six months after her death. She was so funny and always happy and smiling. She always took care of me. OneFamily is a big welcoming group. They all feel like my brothers and sisters, and help me all the time. This family gives me a lot of inspiration and hope, and every time we get together I feel so much love. I want to say THANK YOU from the bottom of my heart.